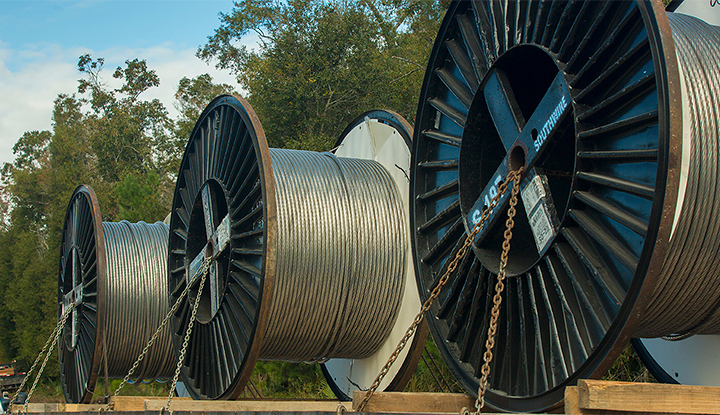 The Southwire Automated Materials Management (SAMM) system provides real-time information on the location and delivery of cable reels. Real-time information on the location and delivery of costly and critical materials, which allows for better planning and staging for installation. Accurate information on the location of spare and emergency reels to speed repairs. Faster removal of and credit for returning empty steel reels. Today, tracking reels is largely a manual process that typically relies on piecing together information from packing slips, shipping manifests and emails and entering it on spreadsheets. With the SAMM system, supply chain managers will be able to quickly and conveniently access tracking information via desktop computer and mobile app. Southwire clients involved in a two-year pilot program have given favorable feedback on the system, said Stewart. The SAMM system is now available to all interested clients, who can contact their company representatives for additional information.